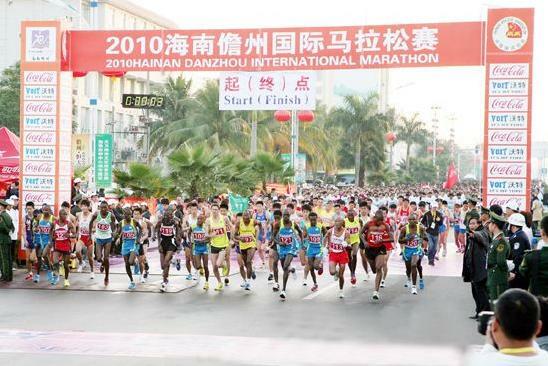 The 2011 Hainan Danzhou International Marathon is to kick off in Danzhou on December 17 with a record of 8,000 runners participating in the event. According to the organizing committee, 184 participants from 12 countries including 6 competitive runners will join in the competition. The game will begin at 7:30am and consists of full marathon(42.195km) and Mini marathon(5km) races. The event is jointly by Chinese Athletic Association, Hainan Provincial Culture Radio, Film and Television Publication Sports Department and Danzhou Municipal People’s Government.